ffmyheels: Maritime Museum of the Atlantic. 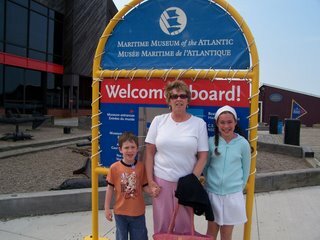 Our final stop for the day was the Maritime Museum of the Atlantic. 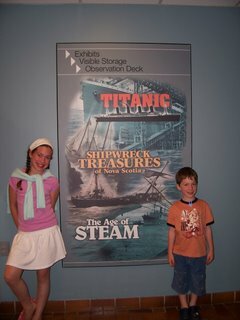 We enjoyed exhibits on the Titanic and the Halifax Explosion. Hunter was really interested in this part of Halifax's history. The Titanic exhibit has the largest collection of artifacts in the world, retrieved by rescue ships and their crew. It is a very sombre exhibit to visit. Articles of clothing from victims of the famous luxury ship. Examples of First Class, Second Class and Third Class cabins and menus which serve to highlight the British "class" system of the day.